Here in this blog you can read different health articles. For example You can learn health benefits of fruits, nuts and other interesting health related facts. You will also find articles for natural treatments. Nowadays many people won't get good sleep in night times. Normally the people above 40 years old start to get this problem which is called as Insomnia in medical term. Most of the people used to take sleeping doses. Though it seems that they can get good sleep with sleeping tablets, it will be always good to discover natural means of getting deep and healthy sleep during nights. It's absolutely true that a good sleep is a great gift of nature to humans. Even it can be also considered as a sign of good health. One should never avoid sleeping in time if he really want to keep good happy life. 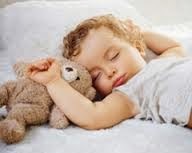 Indeed there are many factors that may spoil healthy sleep like eating heavy food in untime, taking coffee or tea just before going to bed, sleeping after lunch, worries, anxiety, body pain and other health problems. How to Get Rid of Dementia? Who is Vegetarian? Different Types of Vegetarians And Advantages of Vegetarianism..
Are you working in office by sitting for prolonged time? How to Cure Common Cold?